At the Asus Zenfestival, we had seen a brand new lineup of Zenfones getting launched, and also some accessories like Lolliflash. Well, the new Zenfones have gone for sale, but today Asus officially started selling the accessories like ZenEars and Lolliflash in India. And just like every other Asus Zenfone product, they will be sold exclusively via Flipkart. So, what does the Lolliflash do? Lolliflash is nothing but a tiny dual LED flash module which you can connect to your phone using the 3.5mm headphone jack and it works as a flash for your front camera if there is no front facing flash available on board. The Lolliflash gets the name from its Lollipop like shape and is pretty effective in low light when you need to take greadt selfies. Lolliflash comes with Dual-tone color LED with 2700K and 5000K for true colors and to replicate skin tone in images. Lolliflash comes with three brightness levels to adjust to the lighting along with anti-Red Eye is also present to prevent red eye in photos. It has a 70-degree wide projection angle for spreading light while taking a group selfie. Lolliflash is extremely compact measuring at 31.5 x 11mm and it weighs just 8 grams. There is a 65mAh battery which can last for 3 hours on the lowest level and 20 mins on the brightest flash mode. 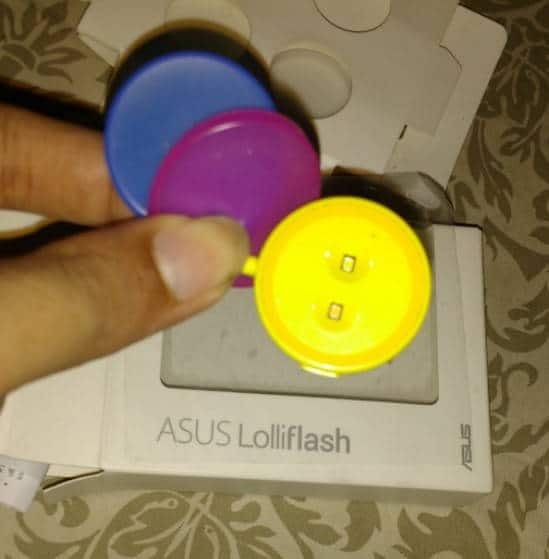 Asus Lolliflash is available in five colors of White, Black, Blue, Yellow and Red. Get it now from Flipkart for just Rs.899 or you can buy it from Asus Exclusive Stores. 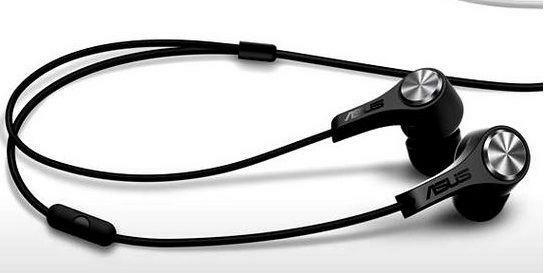 The Asus ZenEar earphones, priced at Rs. 699, are basic models and feature a transmission-tube design. They feature Asus’ Sonic Master 2.0 audio technology, and come with a special damping system to bring the best sound output. ZenEars has frequency response of 20Hz to 20000 Hz and sensitivity of 107 dB/mW. There is also a microphone on-board for receiving calls and is designed to fit perfectly in the user’s ears. You can get the Aus ZenEars for just Rs. 699 from Flipkart or can buy from any Asus exclusive stores acorss the nation.